From the open sea, you can see Sitka when you are still a long way off. 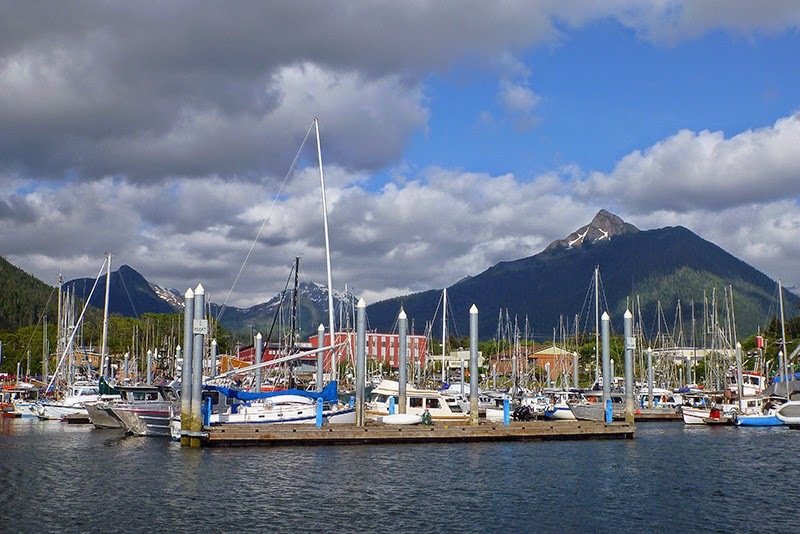 Although it is both a city and a borough in Alaska, to the eye, Sitka appears unpretentiously as a large Alaskan fishing village sandwiched between spectacular mountains and the sea. As you approach, you have to navigate through a series of islets and an island (Japonski Island) that protect the inner harbor. During our approach, we were temporarily confused, and mistakenly headed the boat towards an entrance in the breakwater that would have been too shallow for our draft. Patrick realized something was wrong, and redirected our course to an entrance in the breakwater further east. Once inside the harbor, we realized that the breakwater entrance shown on our chart (that we thought we had been heading to) had been filled in and no longer existed. While we were in Sitka, they also started filling in the entrance we almost went through by mistake. Sailors should be aware that even the most up-to-date charts may show an incorrect configuration for the Channel Rock Breakwater. 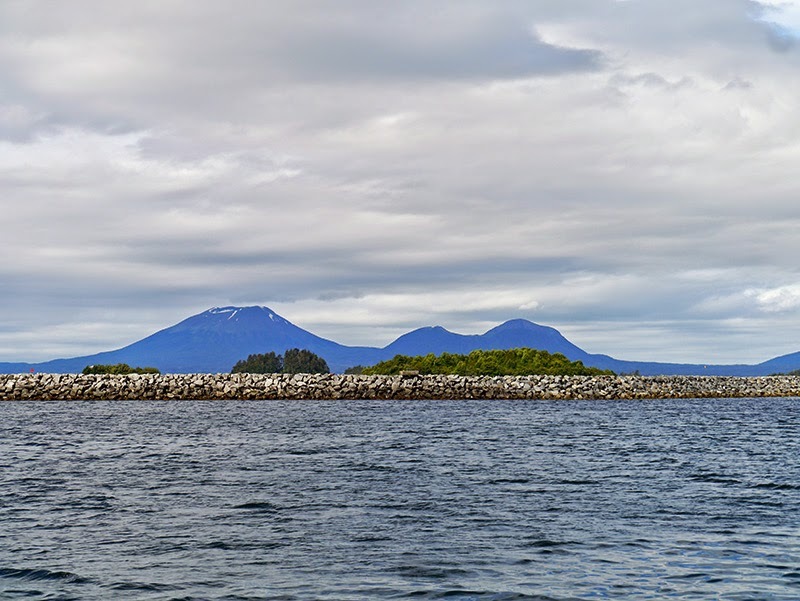 We updated our electronic charts from NOAA (National Oceanographic and Atmospheric Administration) before leaving Hawai'i; but upon our arrival in Sitka, we found there was a discrepancy between reality and the chart. Patrick has since notified NOAA that the breakwater is being modified. 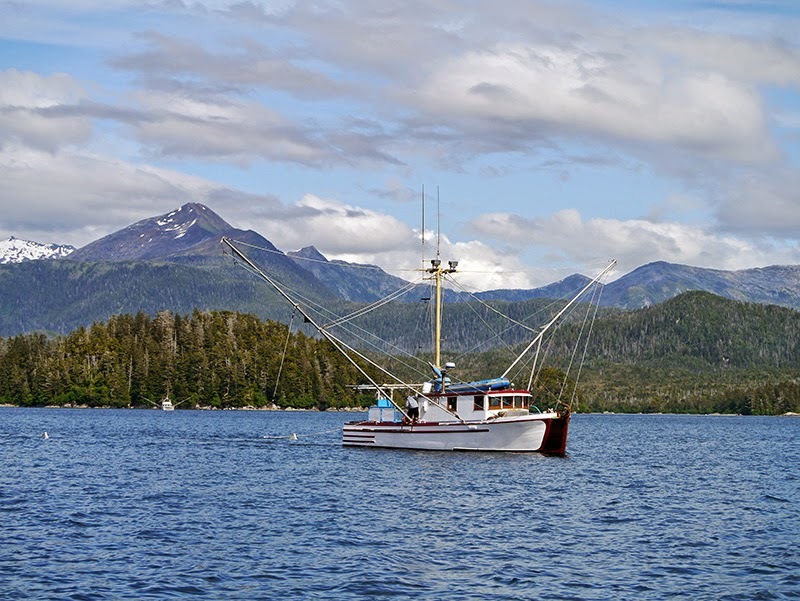 Sitka has five harbors, and transient vessels are typically moored at Eliason Harbor, which is right alongside Thomsen Harbor. 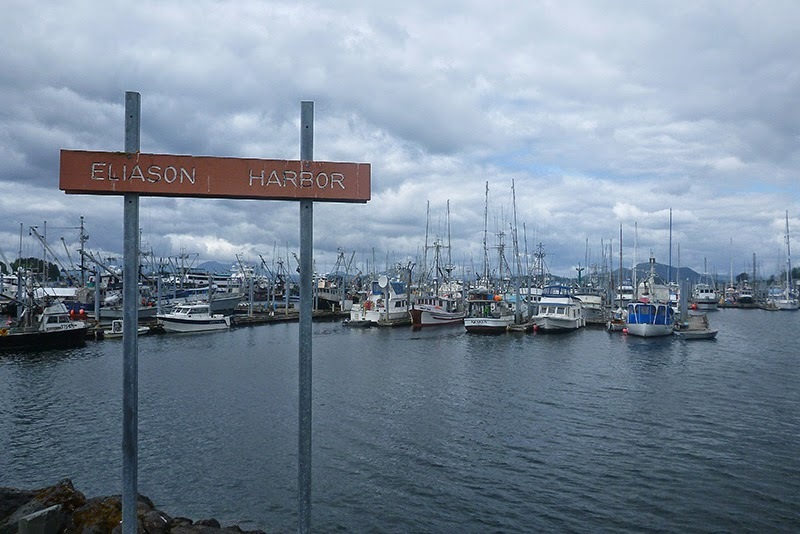 Plenty of fishing boats utilize Eliason/Thomsen Harbors as well, so there is always something interesting to watch between the activity on the docks and vessels coming and going from the fishing grounds. 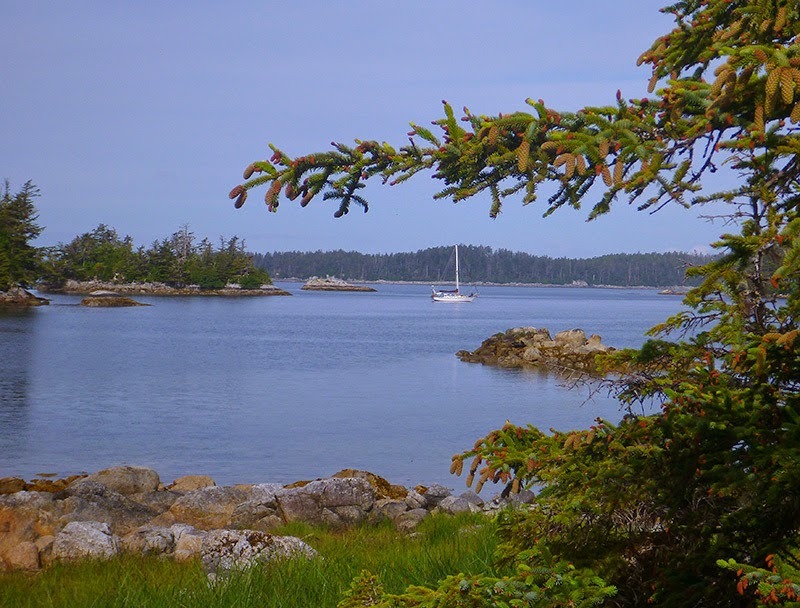 When the docks are full, it is also possible to anchor out in the Western Anchorage. 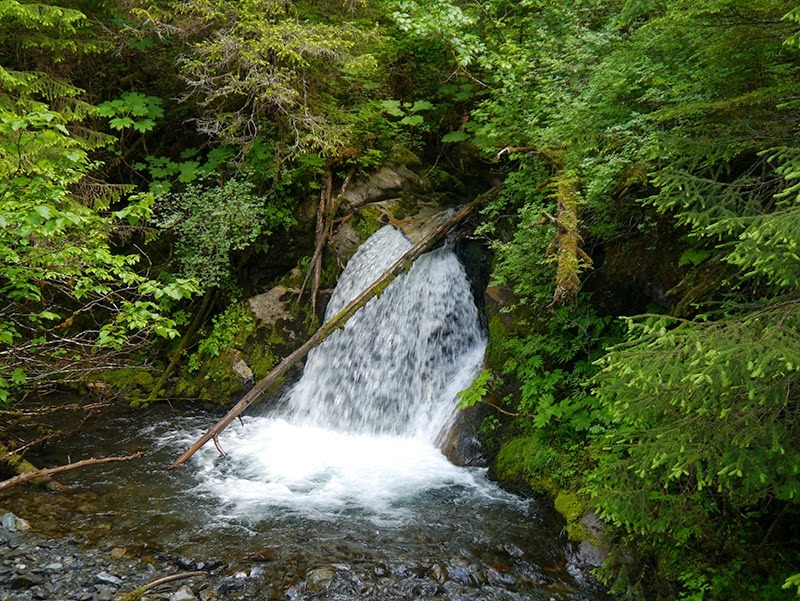 I did some hiking around Sitka, and its rainforest reminded me a lot of being home in the Cascade or Olympic Mountains. 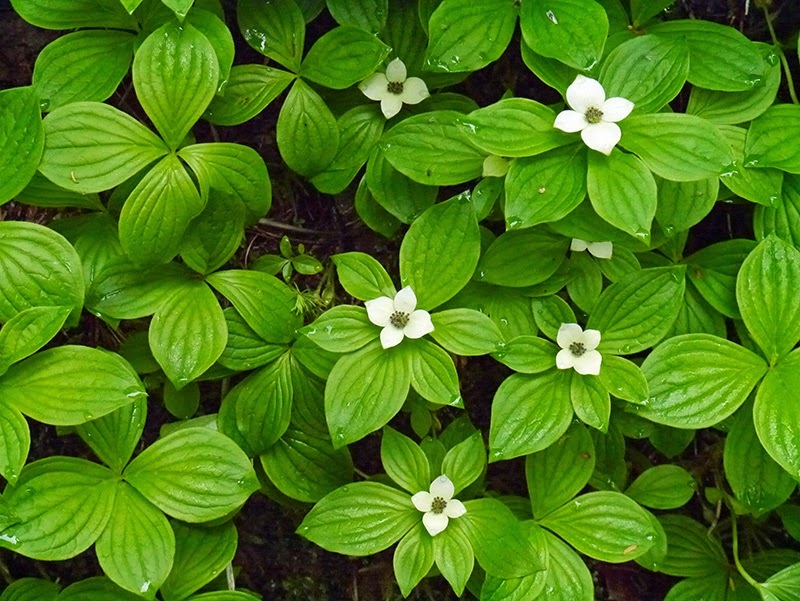 However, it was also different due to the differences in the forest canopy and understory. 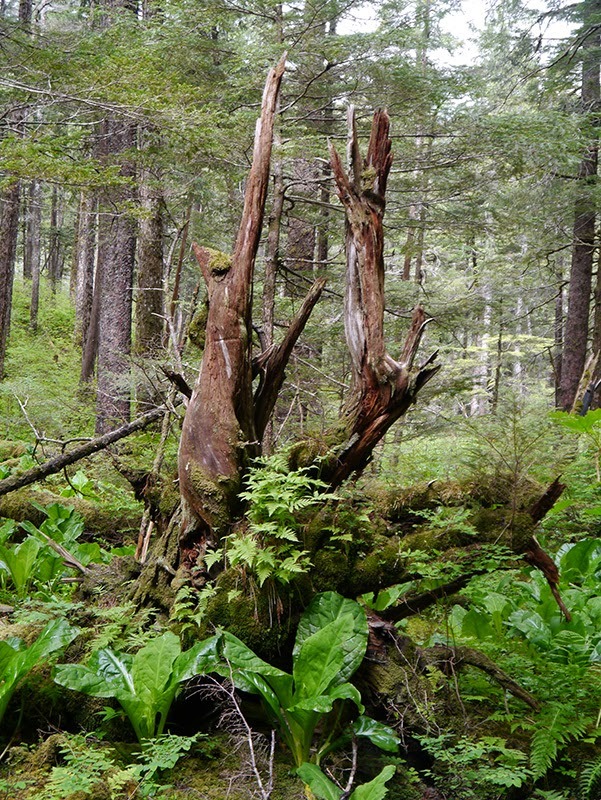 Sitka spruce and yellow cedar, rather than Douglas fir and western red cedar, are the primary tree species, and the understory is composed of Devil’s club and ferns. 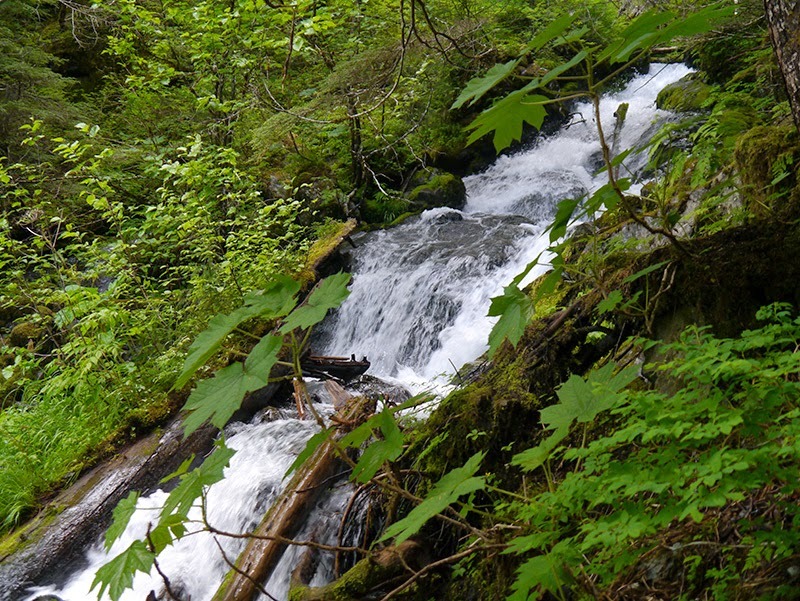 Overall, the Sitka forest is much wetter than the Cascades and most of the Olympics. 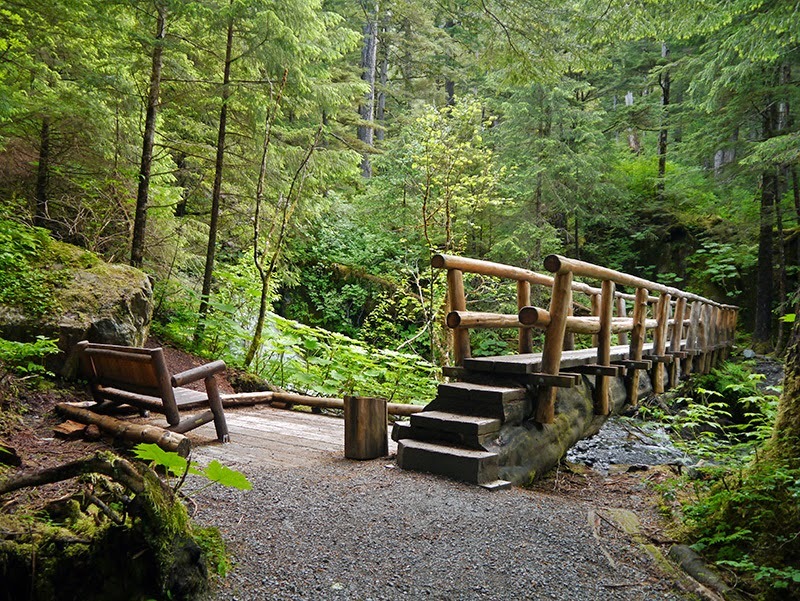 Sitka is a vibrant community with a lot of community activities and a very active arts scene. 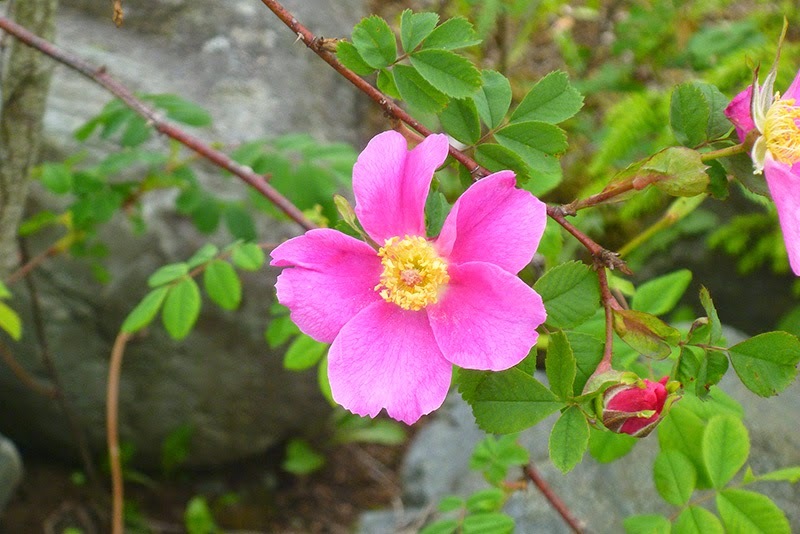 The Sitka Summer Music Festival was going on when we arrived in Sitka. It is an annual event focusing on classical music, and the festival’s board recruits talent from all over the country and the world. 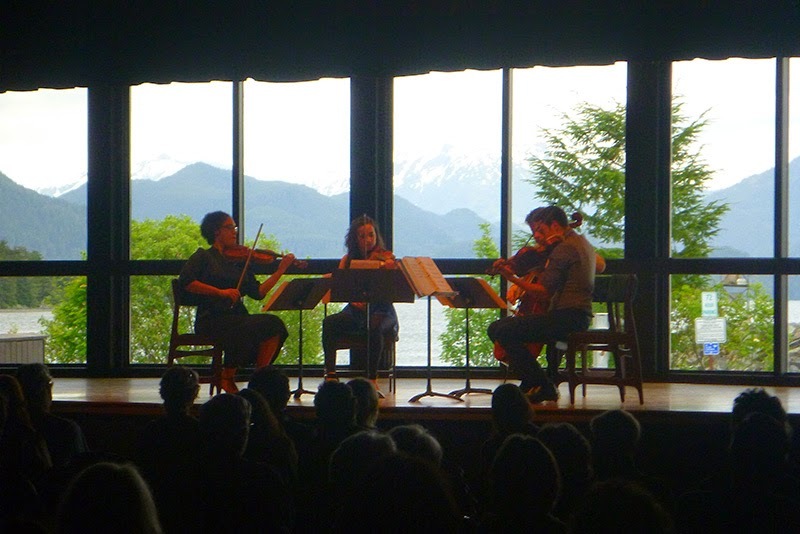 We/I attended two free concerts that were part of the music festival while in Sitka. 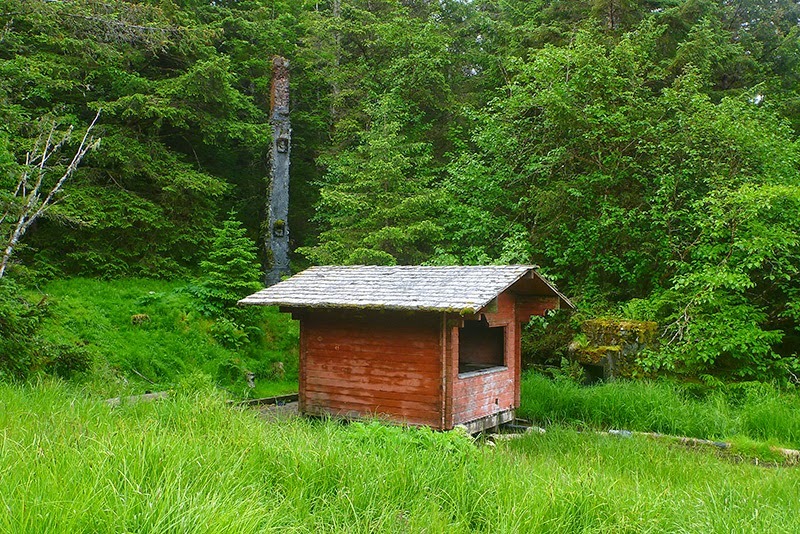 Sitka has a rich cultural history. 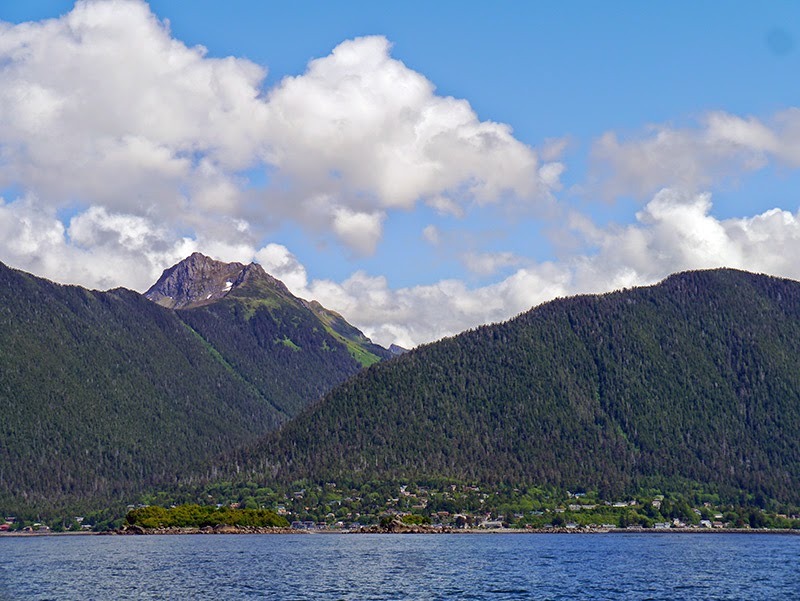 In another story of usurpation of native lands, the Russians took Sitka from the Tlingit people of Alaska. 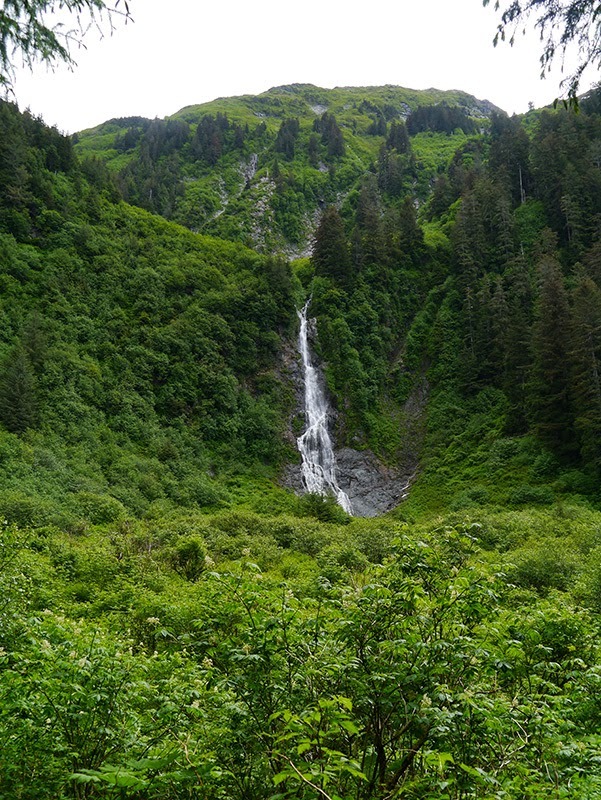 The story has a somewhat different twist, in that the Russians originally negotiated with the Tlingit to set up a fur trading base here; so at first they were here by agreement if not invitation. 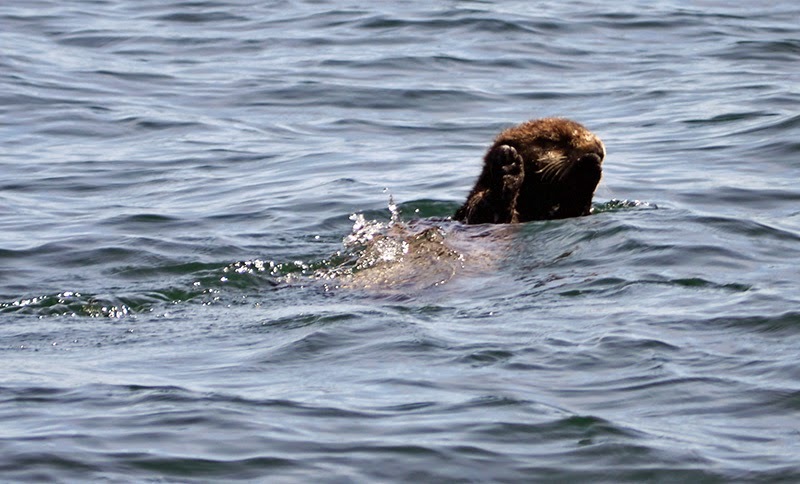 (This was after Russian over-harvesting of sea otters for their pelts in both the Aleutian islands and Kodiak Island.) The Russians had their eyes on Castle Hill, but accepted a different base indicated to them by the Tlingit. After living alongside one another, the Tlingit grew to resent the Russians, and a faction of Tlingits attacked the Russians. This led to a large scale retaliation by the Russians, aided by some Aleuts who had become loyal to them. 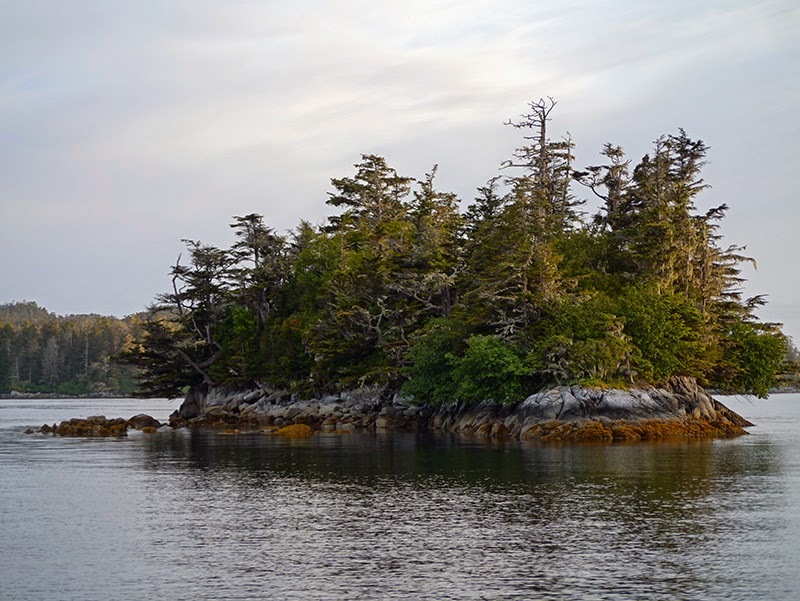 In the Battle of 1804, the Russians captured Castle Hill and the rest of Sitka (which was called “New Archangel” at the time), and the Tlingit fled to the outer islands. Later, the Tlingit suffered another loss when the U.S. purchased Alaska from Russia and Alaska was annexed to the United States. 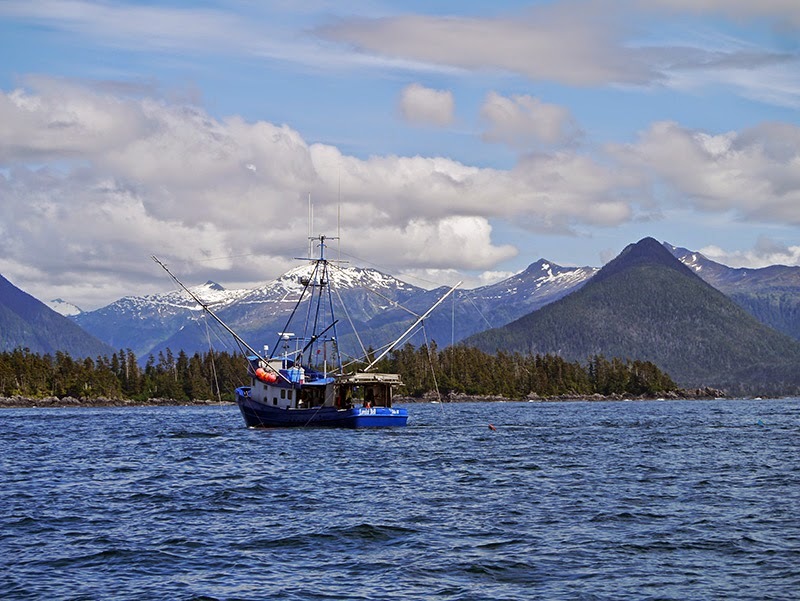 Now it was the United States who were exploiting the rich mineral, timber, and fishing resources that originally belonged to the Tlingit (and other Alaskan native peoples.) 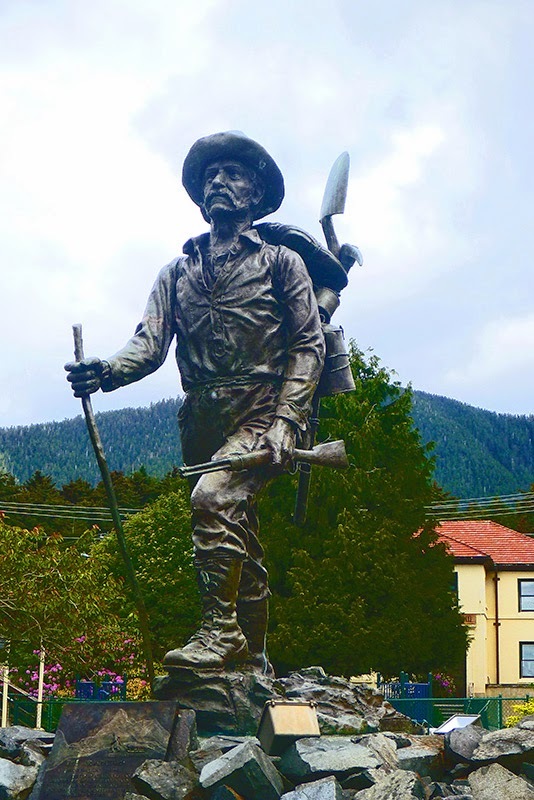 During the Gold Rush, people not only came to Alaska from the Lower 48 to pan for gold and to hunt animals for their furs, but to seek out a life of adventure. 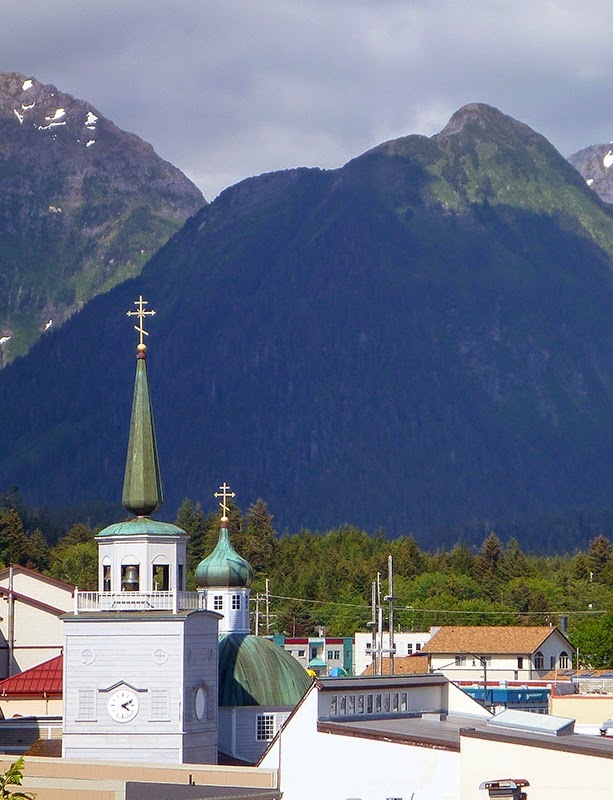 Today, Sitka has a rich cultural heritage acknowledging the traditions of both the Tlingit and the Russians. Most of the Russian historical structures have been rebuilt. 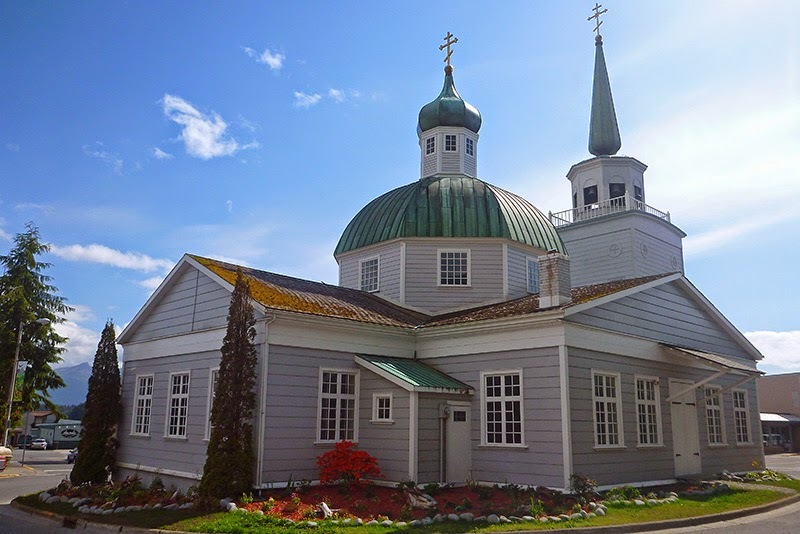 The most striking of these, St. Michael the Archangel's Russian Orthodox Church, stands in the center of town. Originally built between 1844-1848, it was a victim of fire and was completely reconstructed in 1966. We went looking for the Russian cemetery in which the grave markers had been constructed of ship’s ballast, and only found two remaining crosses marking the graves. 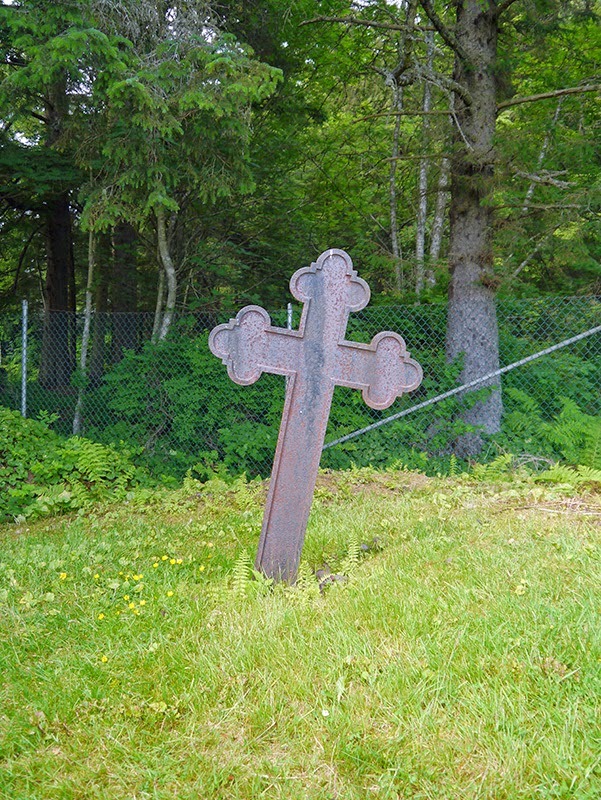 The crosses appeared to be made of iron, and are probably some of the oldest artifacts remaining from the Russian period. The rest of the cemetery may have been swallowed by the nearby forest. 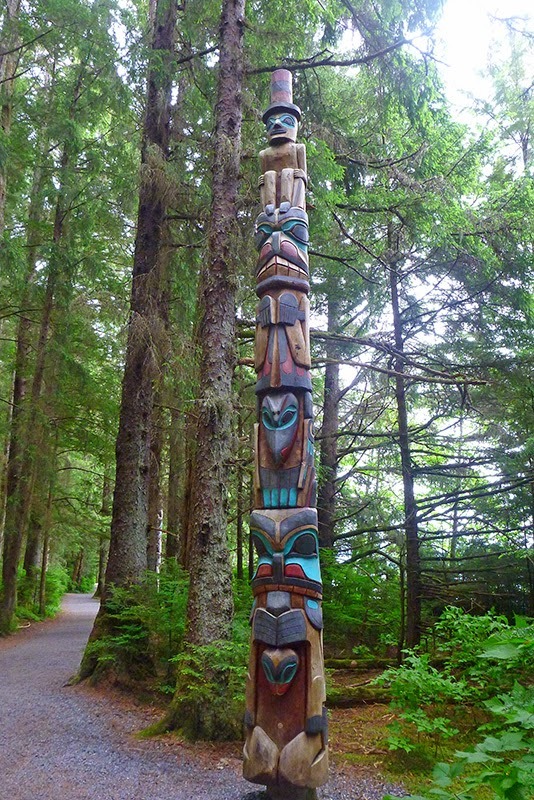 At the Sitka National Historical Park, we found many examples of totem poles, both old and new. 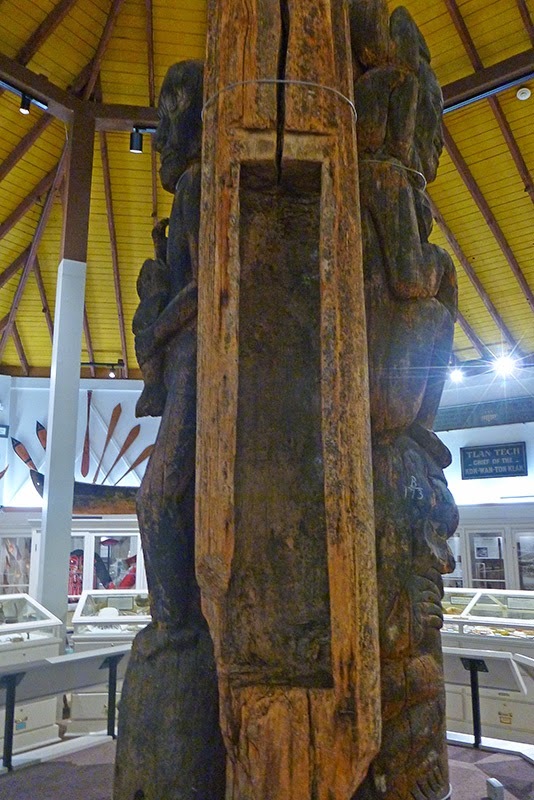 (Some of the poles in the park were reproductions of older poles, which were on exhibit in a more protected location inside the Visitor Center.) 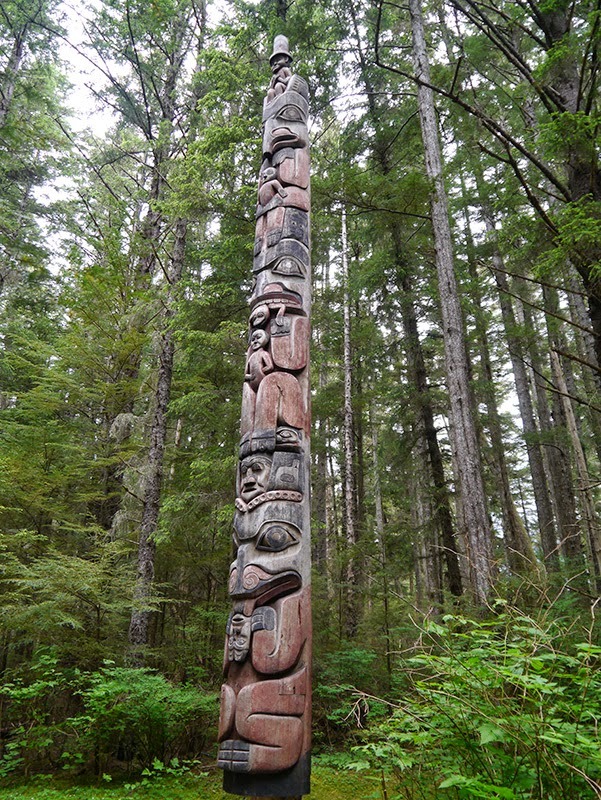 Not all of the totems were Tlingit; many of the poles were collected from Prince of Wales Island, south of Sitka, and were the work of the Haida. Although I had seen numerous examples of northcoast native art, I didn’t know that the style of art was called “formline design,” which utilizes mostly ovoid, u-shape, or s-curved shapes. 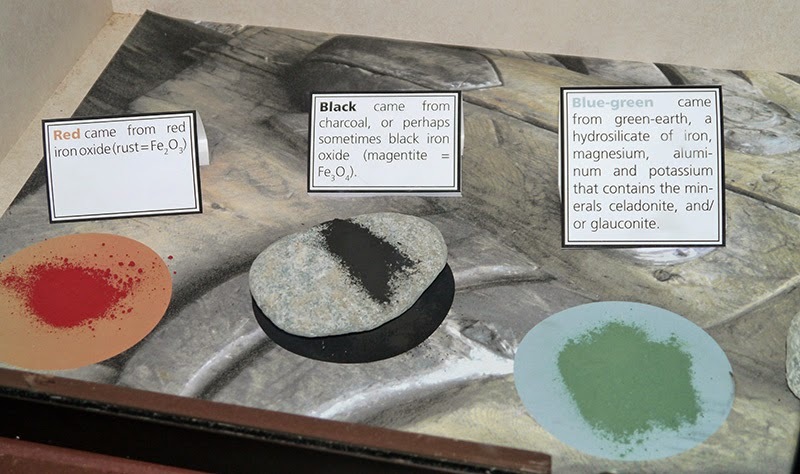 I also didn’t realize why the primary pigments you see in this artwork are red, black, or blue-green. The answer is obvious when you think about it: These were the primary pigments available to native people based on what they could take from the natural mineral world around them. The minerals were mixed with the oil from salmon eggs to make paint. 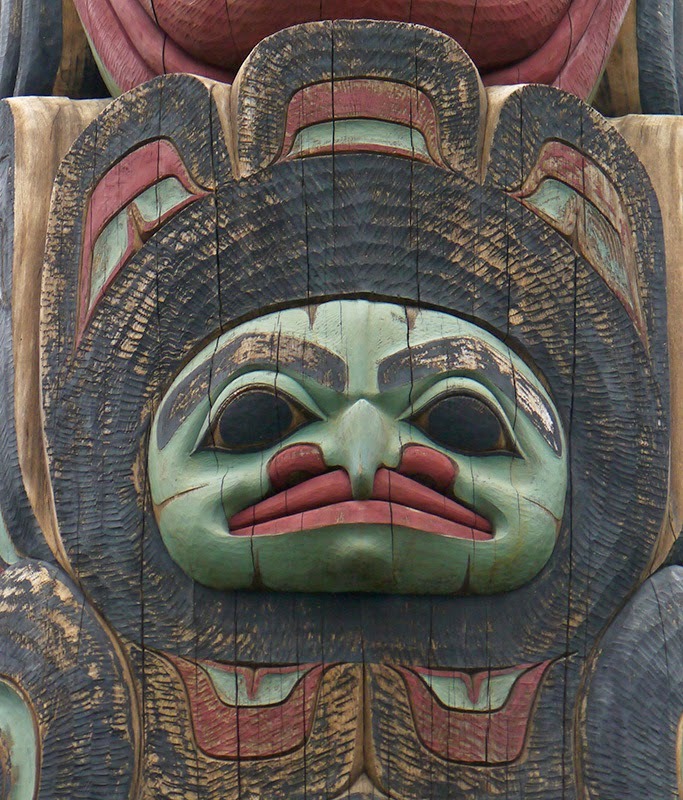 Modern carvers have a wider variety of pigments available to them with which to paint their totem poles. 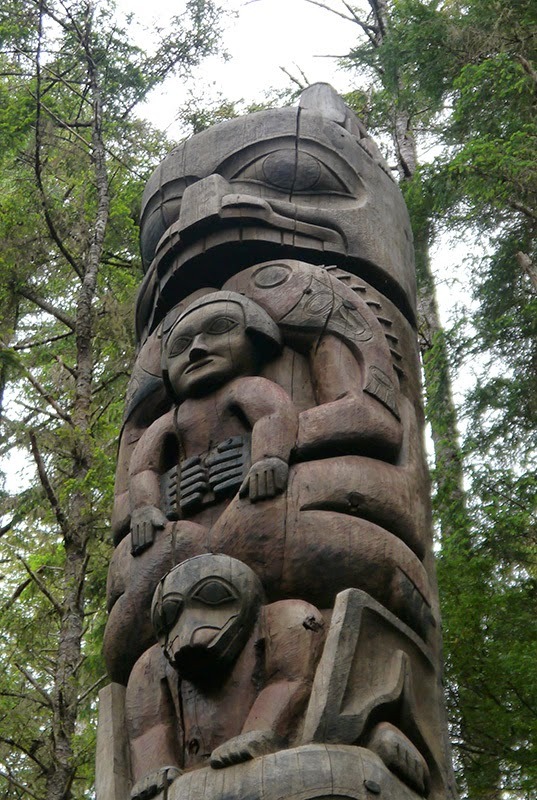 We learned that there are several different types of totem poles, used for different purposes. 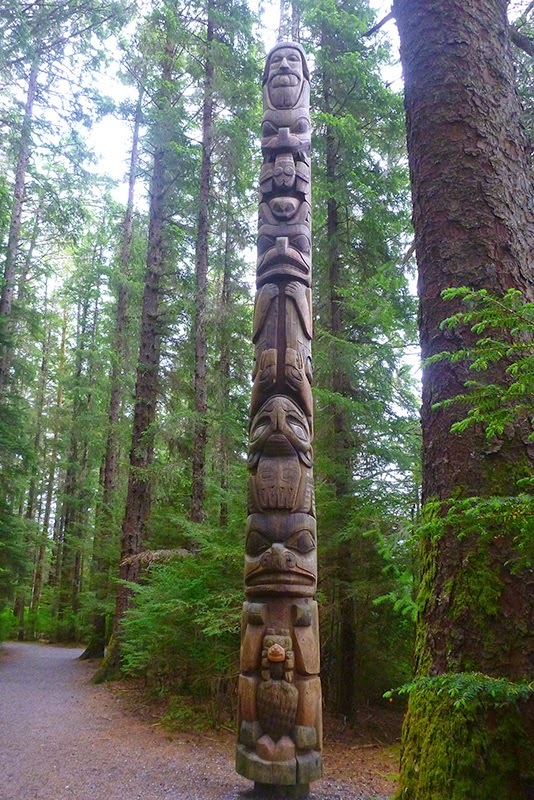 One of the most common totem poles is the crest pole. 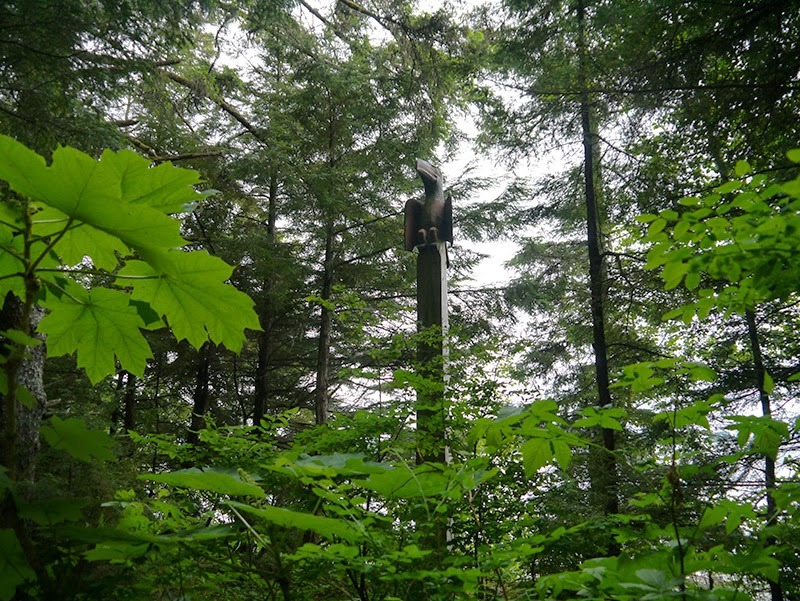 This pole is symbolic of family history and ancestry. 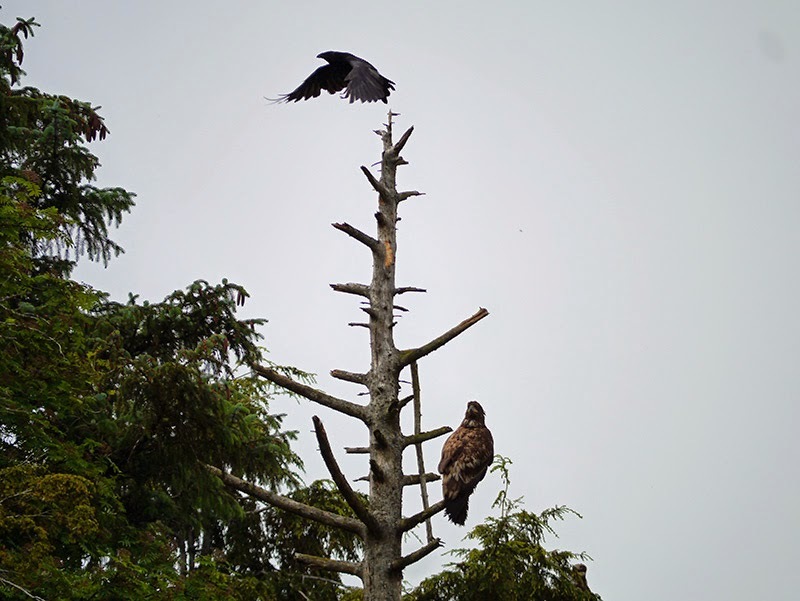 One thing that the Tlingit and Haida tribes share in common is that they are each divided into two halves, called moieties, the Raven and Eagle moieties. One function served by the moieties is to prevent marrying someone too closely related to you. 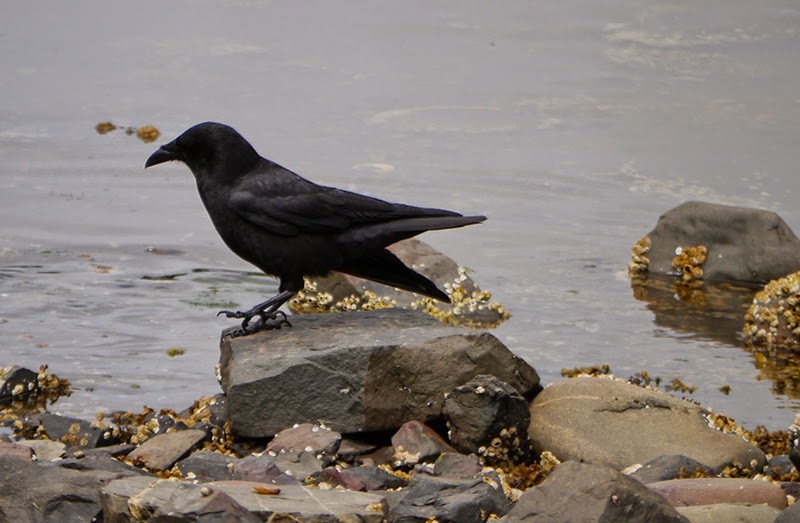 An Eagle has to marry someone from the Raven moiety and vice-versa. 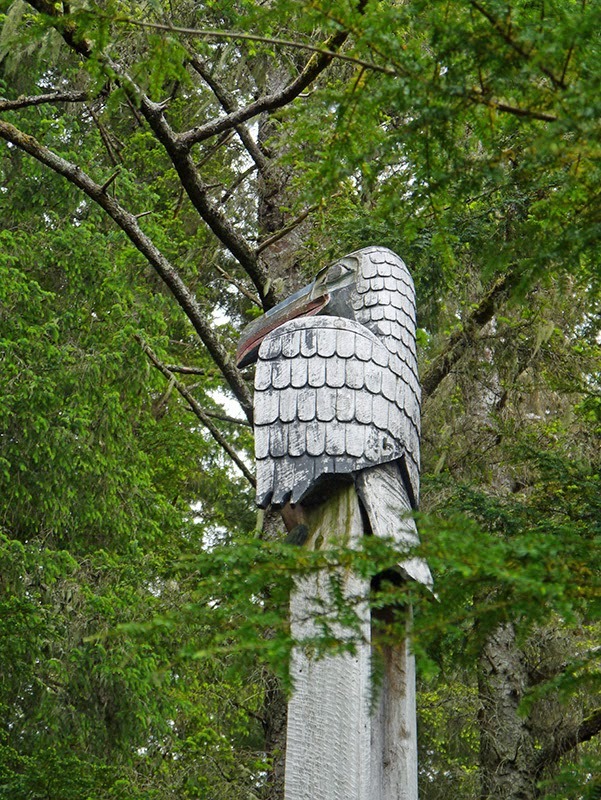 At the top of a crest pole, there is usually a figure called the village watchman, and somewhere on the pole will be a carving of the family’s moiety (Eagle or Raven). 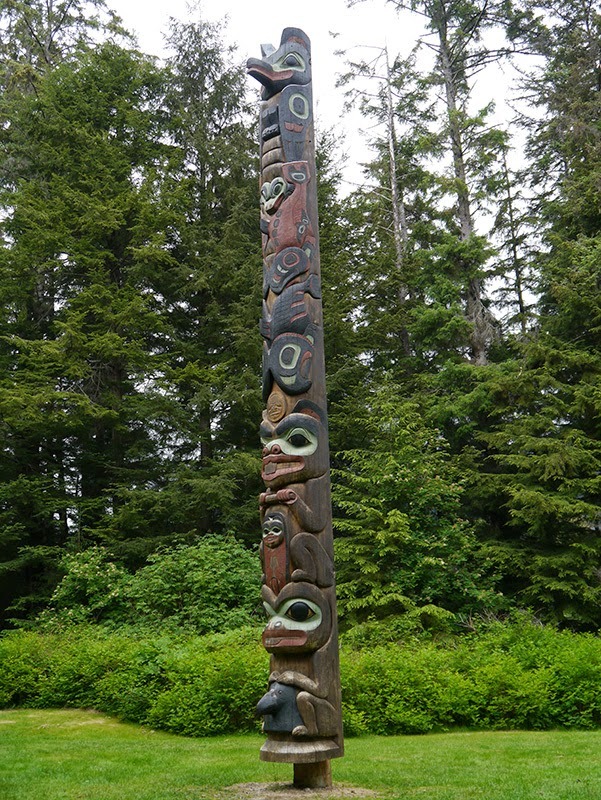 There will also be a carving of the family’s clan (examples are beaver, sockeye salmon, or woodworm) somewhere on the pole. An individual inherits their clan from their mother. 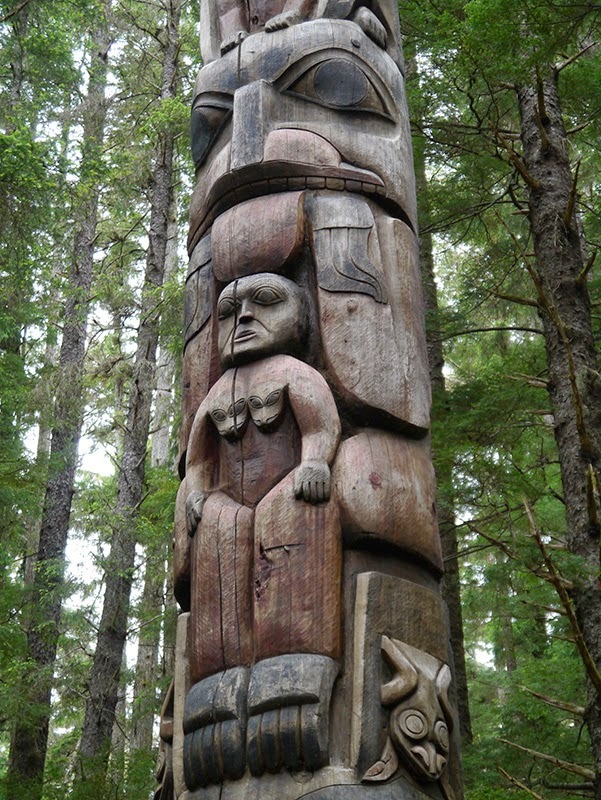 Historic photographs of ancient Tlingit and Haida villages show a crest totem pole next to almost every dwelling. Can you spot the village watchman and the raven in this crest pole? 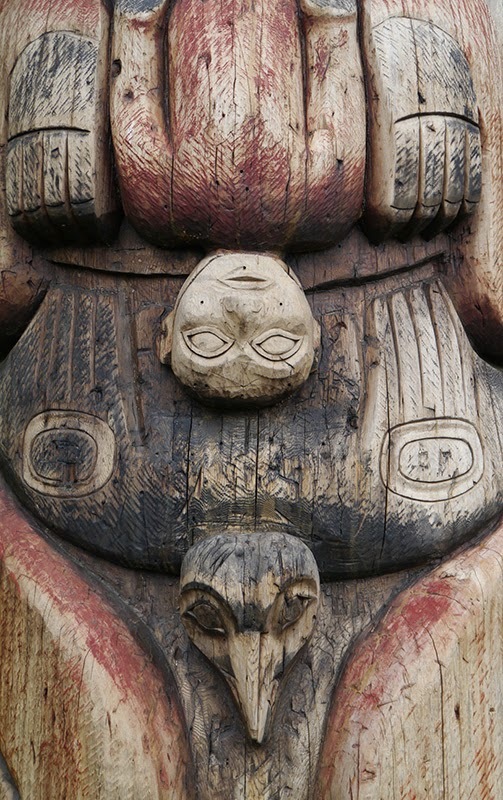 Unlike Euro-American family trees, which tend to be more linear, the figures on a totem pole are not necessarily arranged in a hierarchical fashion. The moiety crest is not always above the clan crest. We also noticed that some figures on the pole are carved upside-down. When we asked about that, we were told that was sometimes how the figures fit best during the carving of the pole. There may also be a meaning associated with some of the legends that has been lost. The top portion of the pole illustrates the legend of the cruel father who murdered his children by holding them tight against his fish spine belt. 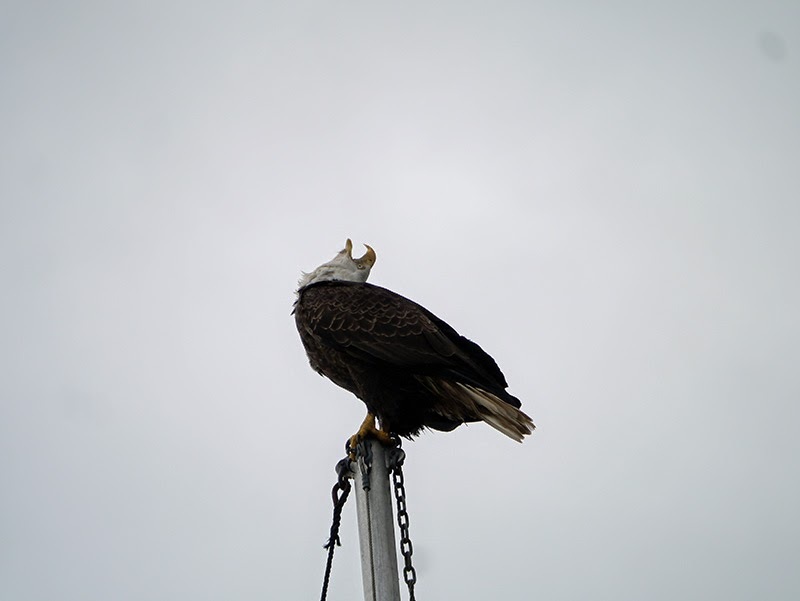 I heard two versions of this legend while in Sitka. In one version, after the father killed seven of his twelve children in this manner, the mother saved the remaining five children by turning them into puppies. Two other types of poles are mortuary and memorial poles. In both cases, these poles are carved when someone dies; but a mortuary pole is for an actual interment, while a memorial pole is to honor the memory of someone who has died. 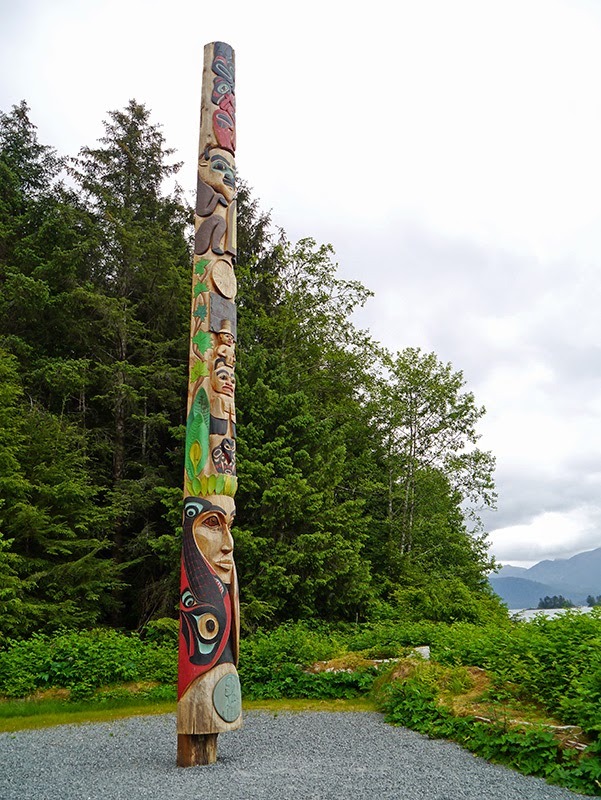 In the historical park, there was also a memorial pole dedicated to the Kiks.adi people of the Tlingit tribe, who lost their lives in the Battle of 1804. At the bottom of the pole, you can see the Raven helmet worn by the warrior who led them in battle, K'alyaan. (K'alyaan, also known as Katlian, survived the battle.) We saw the actual helmet used in the battle---which was covered in real raven feathers---on exhibit at the Sheldon Jackson Museum, but I neglected to take a picture of it. A fifth type of pole was the ridicule pole. A ridicule pole was used within the tribe as a nonviolent means of confrontation and a way to shame someone into making retribution for a debt or an act of wrongdoing. 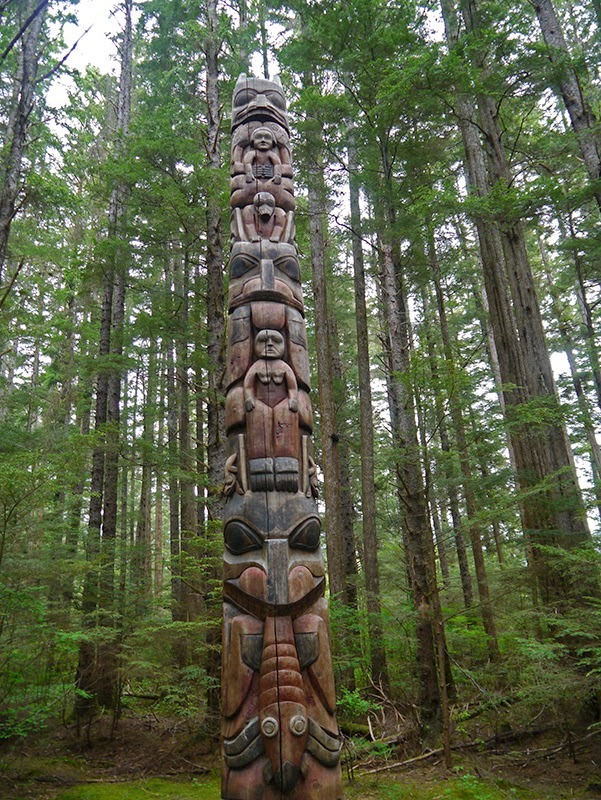 We learned that all totem poles are not carved to last. If a ridicule pole was erected in a village, once the individual at fault paid off the debt, returned the stolen goods, or otherwise made the situation right again, the ridicule pole was removed and burned. A native I met from Kake, who helped staff the Sheldon Jackson Museum, told me that the ridicule pole didn’t work so well with people outside the tribe. The pole might be erected, but the debt would not be paid; so the pole would remain standing. This example of a ridicule pole shows a white trader at the top. 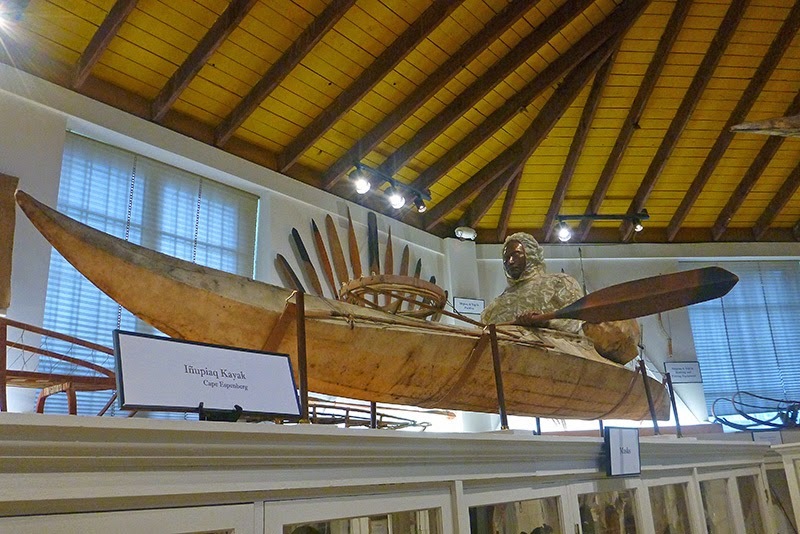 At the Sheldon Jackson Museum, we saw artifacts from indigenous peoples throughout coastal Alaska and British Columbia, including the Inuit, Inupiaq, Aleut, Tlingit, Haida, and Athabascan tribes. The Jackson Museum reminded us of the Bishop Museum in Hawai’i, in that it displayed the artifacts from similar cultural groups alongside one another. 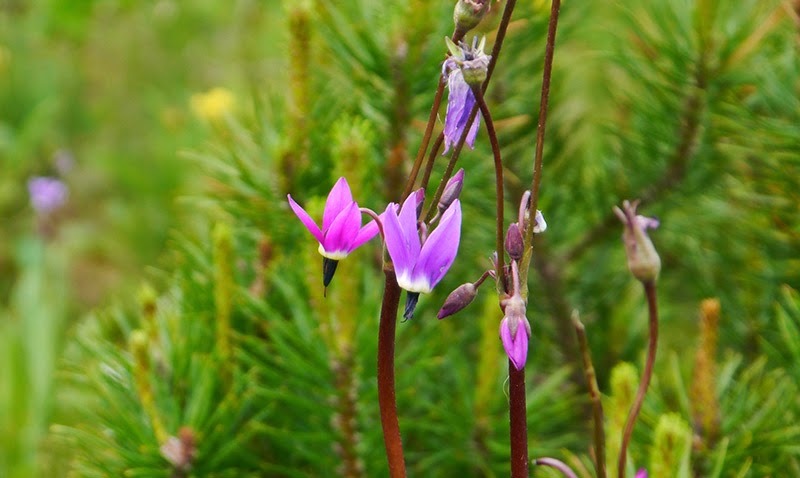 In the case of native North Americans, there was much more diversity among the artifacts due to the varying topography and climate in the north, and to the wider range of materials available to northwest coastal native people as a result. 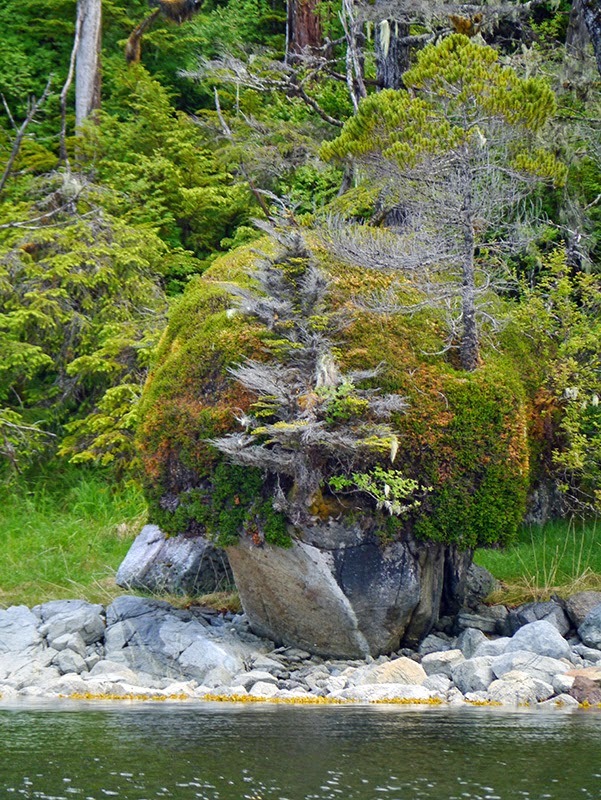 For example, while pandanus and coconut fiber were used exclusively for weaving throughout the South Pacific, we saw that the Tlingit use spruce roots; Aleuts (who live on treeless islands) use grass; and the Athabascan use willow for weaving baskets and other items. The Inuit and Inupiaq, who live in a landscape covered with snow and ice use containers made out of mammal organs like seal bladders to serve the same functions as woven baskets. The Jackson Museum is a beautifully designed museum. 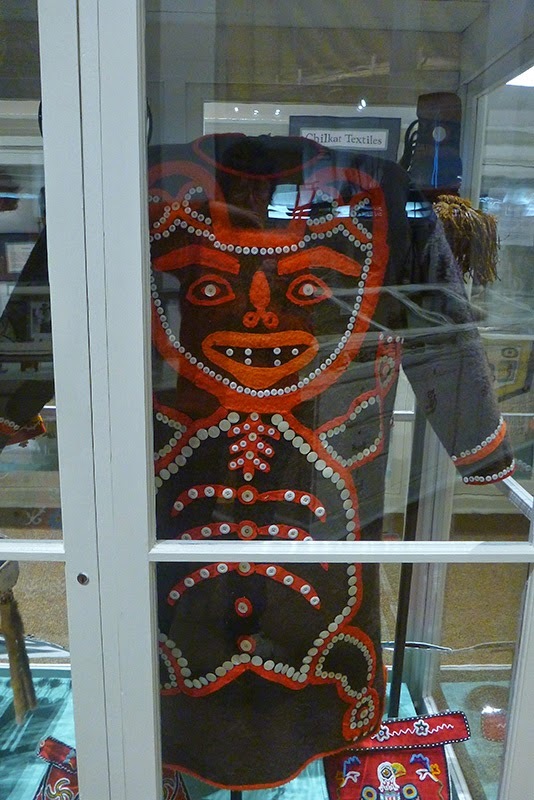 It is currently housed in an octagonal building, with the large artifacts displayed in or above three concentric rings of glass cases located around the museum’s central totem pole exhibit. Beneath the innermost ring of display cases, there are a series of drawers which visitors are allowed to open. Opening each drawer is a miracle of discovery, as displayed inside the drawers (under glass and labeled with a short summary) are the smaller artifacts, grouped together by type. 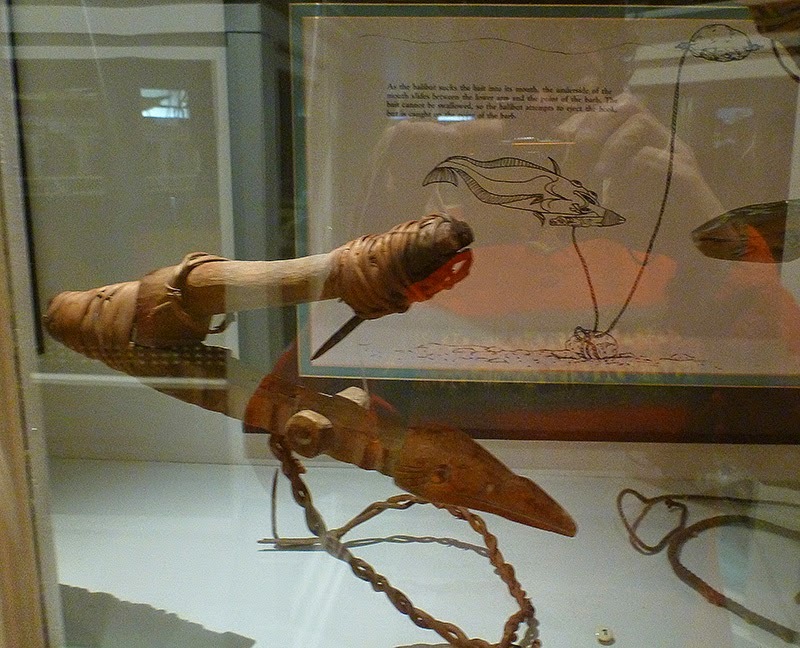 I loved the thematic arrangement of the exhibits, with all the like objects grouped together, regardless of tribe or chronology. 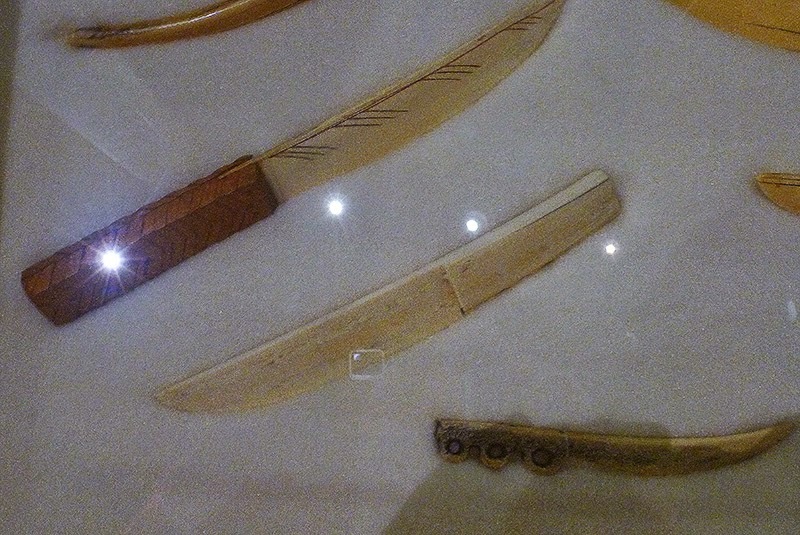 My favorite artifacts were examples of actual watercraft used by each cultural group. 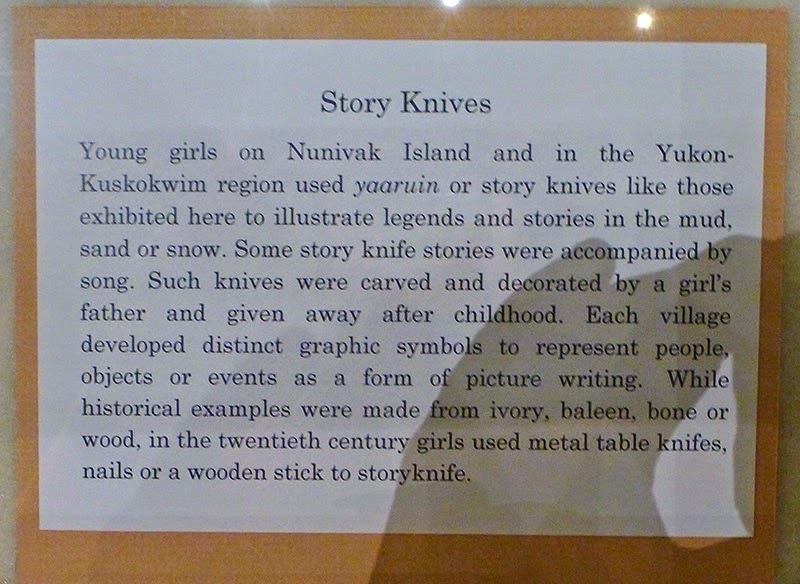 I also enjoyed discovering artifacts that I had never heard of before, such as story knives. 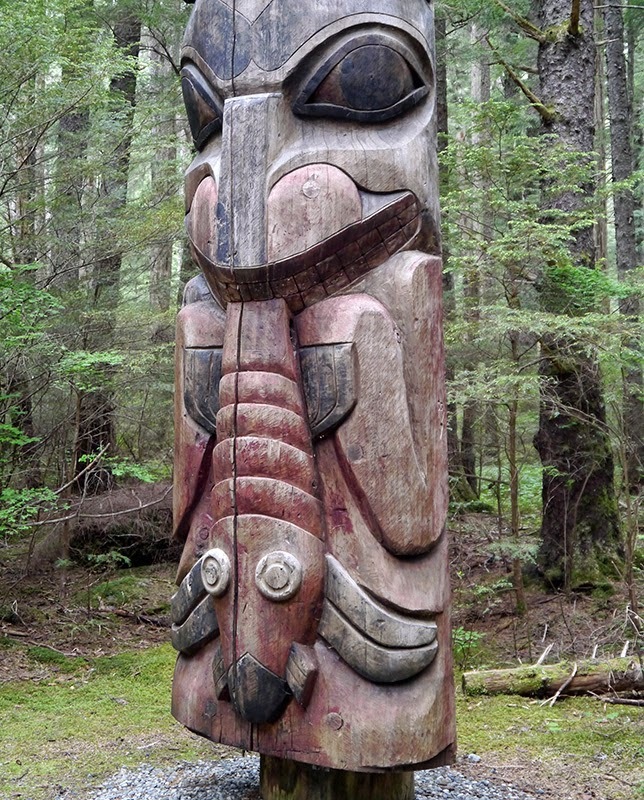 It was interesting to learn that prior to first contact, the Tlingit used the same pigments they used to paint totem poles to decorate their clothing. 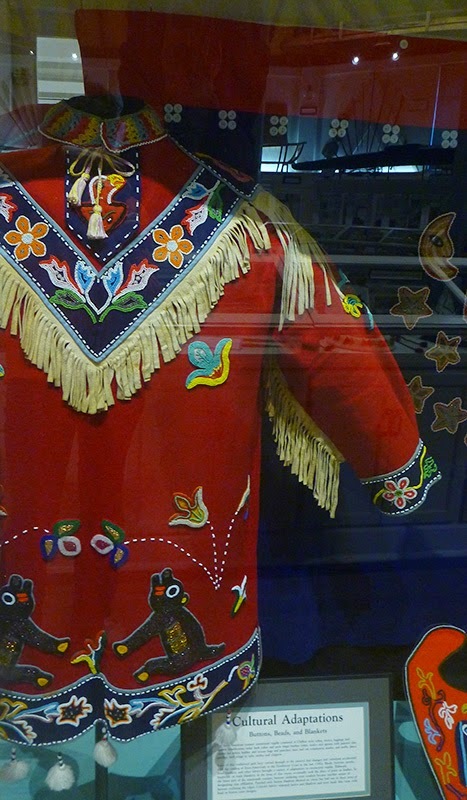 It was only after Euro-American contact that tribes began adorning their clothing with the colorful buttons and beads we see today. After spending only a short time in Sitka, I leave feeling greatly enriched by its striking natural beauty and rich cultural history. My last few posts have been very text-heavy, so this will be a pictures post. 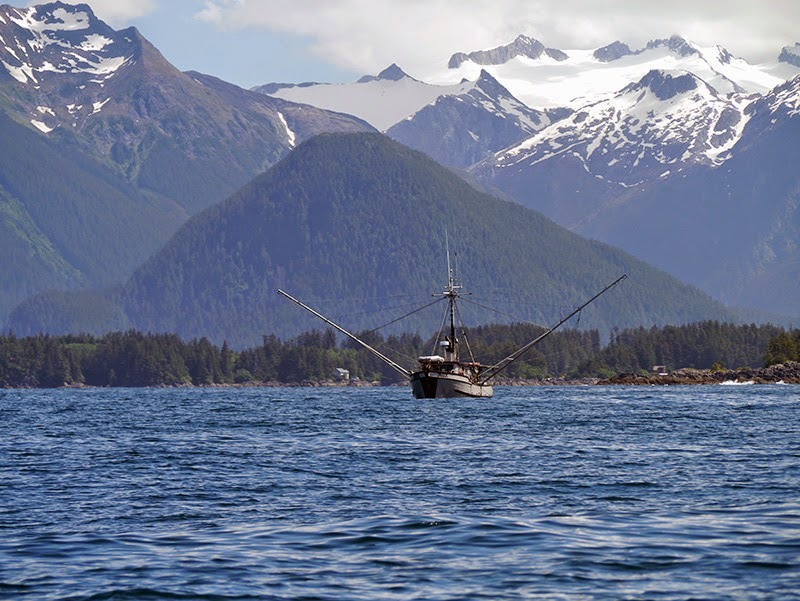 It's an homage to Sitka and reflects our feelings of how nice it is to be back in Alaska and the Pacific Northwest!